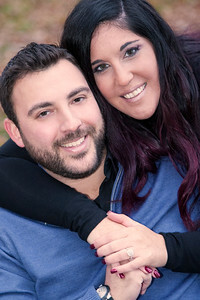 Jordan Adam Imaging had its humble beginnings back in the summer of 2007 when Jordan A. Schneider graduated from the prestigious Hallmark Institute of Photography, and from then on he was known simply as . . . "Hey, You With the Camera!" Since then, 'Hey, You With the Camera' has been making his way in the world with his camera close in hand. This will sometimes drive friends, family and especially his fiancé (pictured above) crazy. Portraits: Whether it’s the entire family, a newborn or a corporate headshot, Jordan Adam Imaging is the place to call. Architecture & Real Estate: Selling your home? Need Real Estate photos, Panoramics or virtual tours. He does that too. Jordan calls Long Beach, NY home and is also where he works out of as well. He does travel frequently to meet with clients.